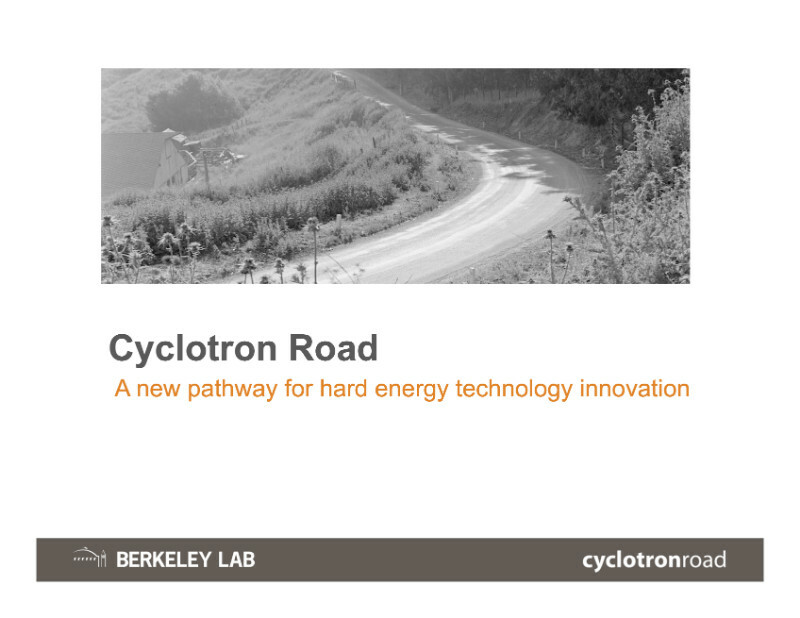 Cyclotron Road is a fellowship program affiliated with the Lawrence Berkeley National Laboratory that supports leading entrepreneurial scientists as they advance a project with the potential for global impact. Since 2015, more than $15 million has been awarded to 41 fellows who have gone on to generate more than $75 million in early stage funding to support their projects. Every year, we recruit a Cohort of entrepreneurial scientists and engineers from around the world to join Cyclotron Road. For two years, innovators are embedded in the Berkeley research ecosystem, where the program provides them funding, access to Lawrence Berkeley National Lab and UC Berkeley, and a program of intensive mentorship, education, and networking. The goal is simple: empower innovators to mature their ideas from concept to first product, positioning them to align with the most suitable commercial path to bring their technology to scale.